"Simple But It Gets The Job Done"
What I liked about the program was that it was simple. It was easy to use. It had it's basic functions - scheduling sessions, scheduling follow ups, blocking off time. I didn't use it beyond those functions but having used other softwares like MindBody and Club Ready, I felt like I saw more value from those software compared to Club Hub. What I didn't like about the program was that it was too simple. I wasn't able to perform as much functions as I can with Club Ready. I felt like there was a lot more obstacles that I had to go over in order to confirm, cancel, or reschedule a session. With softwares like ClubReady, it was a simple click of a button. The business problems that I was solving with ClubHub was mainly scheduling and processing payments. I was able to do that rather easily. MarinaOffice is a comprehensive marina management software solution designed for the marina, resort, and property management industries. 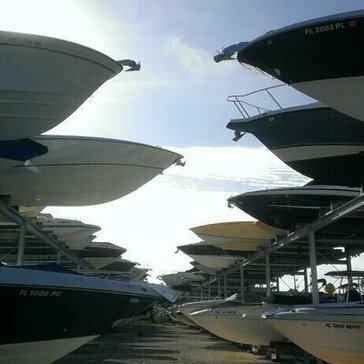 Utilizes the innovative Visual Marina screen to provide management of marina operations. * We monitor all ClubHub reviews to prevent fraudulent reviews and keep review quality high. We do not post reviews by company employees or direct competitors. Validated reviews require the user to submit a screenshot of the product containing their user ID, in order to verify a user is an actual user of the product. Hi there! Are you looking to implement a solution like ClubHub?